The chemical make-up of Green Wash was changed to be completely biodegradable. This adjustment took phosphates completely out of our chemicals. Phosphates are what is added to most soaps to make them foam or create suds. 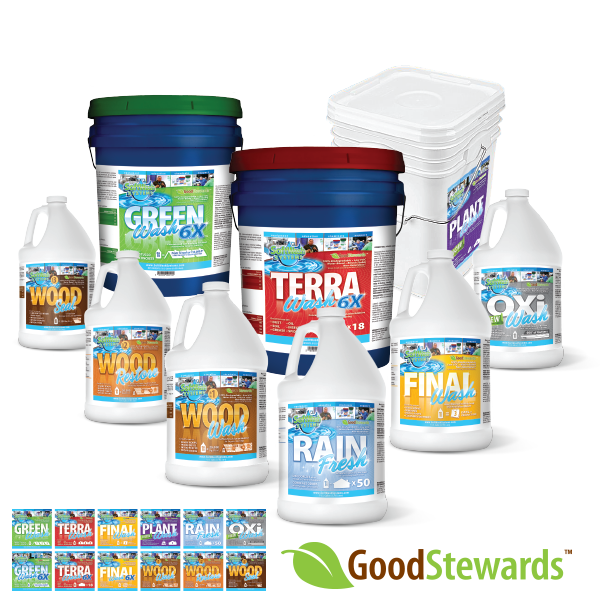 Since 1998 all of our chemicals have met the definition of biodegradable in that they break down into carbon and / or water within twenty (20) days of their introduction into the environment. AC’s company, now a decade old, had cleaned in excess of 55,000 roofs throughout Florida. Various surfaces had been cleaned using our soft washing additives without any kind of damage. 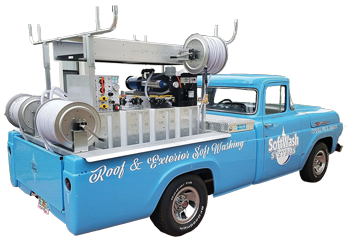 Our soft washing technique and additives had cleaned surfaces from shingle roofs to tile, brick exteriors to EAFIS, membrane roofs to TPO, awning fabrics to concrete drives and walks, all without the potentially harmful effects of pressure/power washing. The largest theme park company in Florida needed to clean a resort that was centered around a preserve of African animals. The theme parks veterinary services department was called upon to test and approve AC’s softwashing techniques and chemicals for use immediately around these animals and their habitats. With careful consideration and examination of the products this famous theme park’s veterinary services department approved the use of AC’s softwashing technique and chemicals. AC’s passion for community and entreprenuership grew and he started brainstorming about how to help other companies achieve the same soft washing results by Education, Equipment, Chemicals and Support. Wood Wash and Wood Restore were created. AC and SoftWash Systems soft washing equipment and chemicals have been used in thirty (30) states of the US and five (5) countries. Our in-network companies have cleaned in excess of 100,000 roofs and structures throughout the world and our products have been approved for use by major theme parks, property management companies, government buildings, installations, colleges, and universities. 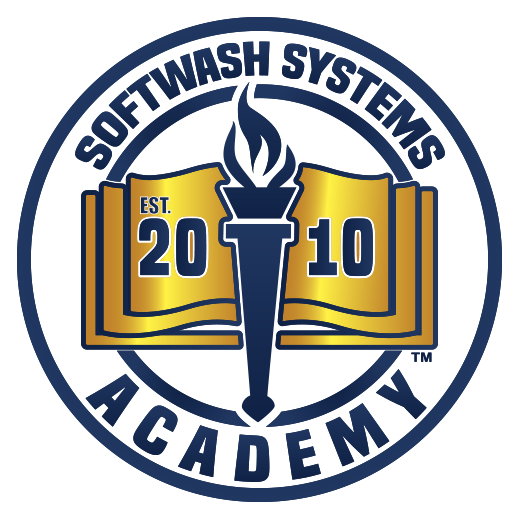 To this date there is no safer, better respected, and more widely used soft washing product line available.